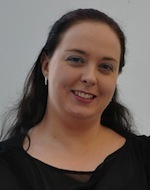 Gráinne Kirwan is a co-author of Cybercrime: The Psychology of Online Offenders (2013). She is a lecturer in psychology at the Institute of Art, Design and Technology, Ireland, and she lectures in topics including forensic psychology, cyberpsychology, computer-mediated communication and the psychology of virtual reality and artificial intelligence. Her doctorate research examined the ethics, motives and interpersonal relationships of hackers.